Monarch Air Group provides private air charter in Chesapeake,VA. Our clients benefit from top-notch service, unrelenting dedication to safety, wide selection of aircraft, and years of experience in chartering private jets. To obtain a free quote, please use our online quoting tool provided below, or call toll free 1-877-281-3051. Monarch Air Group provides private jet charter flights in and out of Chesapeake, Virginia, USA. Chesapeake is a port city in central Virginia, in the Hampton Roads area. It is a diverse city with some urban areas and many square miles of protected wetlands, forests, and farmland. A total area of the city is 350.9 square miles. With a population of about 222,209 people, Chesapeake is the 3rd largest city in Virginia. 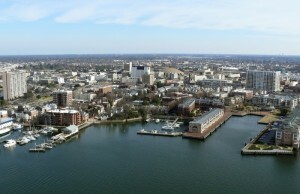 In 2011, Bloomberg Businessweek named Chesapeake the 21st best city in America. The most popular tourist attractions include Chesapeake Arboretum, Portlock Galleries at SoNo, Oak Grove Lake Park, Carafe Wine Makers, and some others. The nearest airports are Norfolk International Airport (ORF / KORF), which is located 13 miles from the city, and Newport News/Williamsburg International Airport (PHF / KPHF), which is located 32 miles from Chesapeake. 3. EDE, Municipal, Edenton, United States. 4. FAF, Felker AAF, Fort Eustis, United States. 5. FFA, First Flight, Kill Devil Hills, United States. 9. MEO, Dare County Regional, Manteo, United States. 10. MFV, Accomack County, Melfa, United States. 11. NGU, Nas Chambers, Norfolk, United States. 12. NTU, NAS, Oceana, United States. 13. ORF, Norfolk International Airport, Norfolk, United States. 14. PHF, Newport News/williamsb, Newport News, United States. 1. Hyatt Place Chesapeake/Greenbrier, 709 Eden Way North, Chesapeake. 2. Hyatt Place Chesapeake/Greenbrier, 709 Eden Way North, Chesapeake. 3. Hyatt Place Chesapeake/Greenbrier, 709 Eden Way North, Chesapeake. 4. Hyatt Place Chesapeake/Greenbrier, 709 Eden Way North, Chesapeake. 5. Super 8 Chesapeake Greenbrier, 100 Red Cedar Court, Chesapeake.